I don't think this is a viable solution. I also don't think it'd have the impact anticipated. My problem with berry's solution is that if the mole is found then it will probably be very obvious. What stops the mole in the actual show from just going all out in sabotaging all the time? I'm sure they have something. The fact that they have to be coy about it if they want to win the money. At the end, if people know who the mole is the mole wins no money. EDIT: Basically, if this is a bit vague it's because real money is involved. I always assumed the mole on the TV show was just a hired actor, doing their job? I think this is quite a good idea. 3/9 players name you the mole? Then you get 66.6666666% of the points/money that the group lost/didn't earn. The mole is pretty big here. I don't even know if our mole earns any money... They just try to be under the radar to not get caught. In post 77, animorpherv1 wrote: My problem with berry's solution is that if the mole is found then it will probably be very obvious. I don't know what you're referencing. I don't think I've posted my solution. The usual problem with online games of The Mole isn't that the mole has no incentive to sabotage, it's that the other players have no incentive not to sabotage. In real life versions of The Mole, the non-mole players work together because they want to earn money to win. But when there's no money involved, the only objective for the players is the win itself--and it's more likely for them to win if the players they're competing against think they're the mole when they aren't. The advantage of the "two concurrent games" idea is that it provides this incentive for the players not to sabotage without involving real money. One time I played a mole game where not only were there two sides of the game for a 12 v 12 situation where each side has its respective mole, there were double eliminations each round. I hated it but it sure gave incentive to never sabotage. So just as discussed the side of the game with more money wins overall and produces the winning player and the side with lower jackpot gives their mole the win. I ended up being on the side with flakers and crap people in that tribe so I knew I couldn't win even if we tried our best. Bad challenge design that is too difficult can destruction a two tribe mole game. The other twist which I thought was fairly unfair was whomever did poorest in quiz was eliminated as per usual, but the executed contestant typically answers the final question q20 "who is the mole?" The person whom the executed contestant names is also out. And I was intentionally sketchy and still made final 3 because stupid players never knew my sabotage and instead players who I thought looked the most innocent were dragged out by naive newbies. That rule is designed to eliminate those who try to look sketchy but it didn't always work. And the mole's job becomes five times harder. It also helped me figure out who the mole was early on because he was aligned with first person executed and I always knew who he named as the mole because I was aligned with him so I thought I'd be next dragged out but I made final 3 somehow. However a modified version of that rule, especially if it was not every execution could make a better twist. Perhaps every two to four rounds there is a bonus execution where only players eligible to be executed are those who have been named as the mole in q20 more than the mole. IE if Johnny was named mole 20 times, Natalie 18 times, and devin 4 times in quizzes but real mole only 14 times was named. then everyone takes the quiz but devin is secretly exempt for the bonus execution and not told whereas johnny and natalie are eligible for both executions. So if Johnny and Natalie know the mole and get top two scores, still one is executed in the bonus execution. Two people eliminated in a round, the regular loser of quiz plus bonus loser. So if Natalie and Johnny are in a coalition and figured out the mole and intentionally sabotaging, the survivor of that coalition may doubt what is going on if it was regular execution or bonus execution. I have the rules for a game outlined and the missions outlined. Below are the basics to the outline of the game. ^_^ It would take me a week or two to write up all the challenges and make sure everything is good-to-go. What do I need to do to run said game on the forum? I am open to a co-host, specifically if it is someone that is great at creative flavor text and is super active. Each round the players will compete in a series of MISSIONS. These missions will test the player’s intellect, communication, trust, and teamwork. If players are successful in their mission, each player on that mission will receive money into their personal funds. But be careful, because amongst you are two moles who are secretly working to sabotage the missions while remaining unsuspected. At the end of each round an AUCTION will occur where players can big the money they’ve personally earned to win GADGETS. Gadgets are helpful tools that can increase a player’s chances of survival or allow them to manipulate the game. After the auction has concluded, players will complete a QUIZ about the identities of the moles. The player that knows the least about the identities of the moles will be eliminated. When the game is down to four or five players they will enter the FINALE. Where the players will take one final quiz about the identities of the moles. The player that scores the highest on the quiz will be crowned the winner. Two players amongst the group will be moles, working to secretly sabotage the missions they’ve been assigned to while remaining unsuspected. The two Moles will be competing against each other throughout the game. The Moles will never be eligible for elimination. * Further details on scoring will be provided to The Moles, in private, once they have been selected. At the conclusion of the game, The Mole that has scored the most points will be crowned the winning Mole. It should be noted that each individual mission will only consist of some of the members of the team. Thus, players will have incentive to win because only those members will get money, increasing the chances that they'll win a gadget in the auction. Examples of gadgets in the auction: bonus points towards the quiz (thus increasing a player's chance to stay), the ability to assign teams for missions next round, the chance to win an exemption. And more ^_^. The Moles will not know who each other are throughout the entire game and will not partake in the quiz. Their objective is to focus on their own scoring and it is not to identify the other Mole. The Mole's will not know their scores from the quiz nor will they know the other Mole's score throughout the game. I strongly believe the scoring aspect of The Mole's is balanced strong enough that they have incentive to secretly sabotage challenges without going-all-out and remaining hidden. Meanwhile, players have a dilemma on their hand, they can go for money and earn prizes that'll increase their survival. They can intentionally sabotage here or there, but if they overdo it they won't have a lot of money and their chances of elimination will be higher! I believe the rules will create a healthy balance of letting players invoke their own personal strategy and approach to the game, whether they're a Mole or a player ^_^. The theme for the game will be a spy academy (think Kingsmen). I once read a book description about a spy academy where each agent was code-named as a playing card... when I began reading the book it didn't focus as much on the academy aspect as I had envisioned and think it'd make a cool theme. The players are new students to the academy training to becomes spies... whilst unbeknownst to the players, the Moles are elite students who are going through a test to see if they have what it takes to be a spy. So, two moles in one game kind of defeats the purpose of two moles? In post 86, Irrelephant11 wrote: So, two moles in one game kind of defeats the purpose of two moles? The purpose of two Moles is that they are competing against one another. Thus, The Mole has an objective to sabotage and yet remain unsuspected. By this method The Mole also has incentives. Also - it keeps both Moles engaged. I've seen games where The Mole has no interest in the game towards the end because they get bored and don't need to be engaged with the players so they basically become a lurker and obvious to spot. Since the two moles are competing, that would also resolve that issue. Right, I understand that two moles can compete. What I don’t get is them being side-by-side. How do the other competitors know who to answer questions about if there are two correct choices for the mole? My understanding of a two-mile setup is that it requires to concurrent, competing games, not that they would compete together in one group. Maybe I’m just misunderstanding your post. I think it's two separate games? Irrelevant is correct - it would be one game. I personally don't think the two games method would turn out how we anticipate it to. It turns away from being a Mole game and just becomes a "which team is better at challenges" game. I've participated in a Mole game before with competing teams and that's what it turned into regardless of how many people were sabotaging. In fact, one Mole barely did any sabotages because the other team was always outdoing ours on merit alone (and not a result of anyone sabotaging from our sixe). Although I personally was initially against having multiple moles in a game, I think it could turn out surprisingly well. I think it'd be difficult for the finalists to identify both moles, but I do have a counter-measure to that for the end game. Lastly, in terms of the quiz, I've identified three methods to create a quiz for two moles: A) do a ranking system and get points based on where you ranked the moles in your suspicions... I'd be against this in a normal game but in a two Mole game this scenario may be perfect. B) Let each question be worth two separate points and require the player to select two answers. C) Ask questions such as "Did either Mole do X?" Or "Dod both Moles do X?" Where the answer is either yes or no. I think pablito called it out best: two competing teams gives a major incentive to *never* sabotage, which in my opinion, is too far in the opposite direction of what we'd ideally like to mimic. We want non-players to sabotage when and if they choose to at the sake of missing out on a benefit, like the real show. Berry ran a 2 moles game before. Simply put if you answered correctly for either mole it helped you not lose and the person least correct betweeb both moles would lose. Something along that line but more refined is a good idea. In my current version there's lots of reason not to sabotage: if you lose all your missions you get no money. Meanwhile, the players that won their missions win money and can bid on exemptions and bonus points in the auction, increasing their chances of staying. 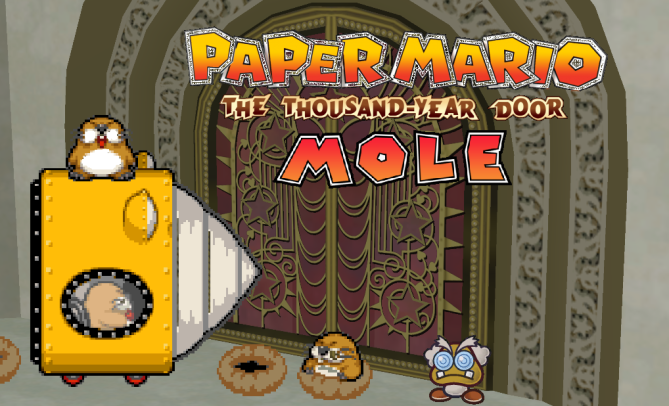 for real just create a real time mole game and run it on discord over a weekend. make mics mandatory and go from there. Shower thought. Would a dungeons and dragons campaign be a good base for the mole? If you're interested in co-modding let me know. Preferably someone with mole experience.